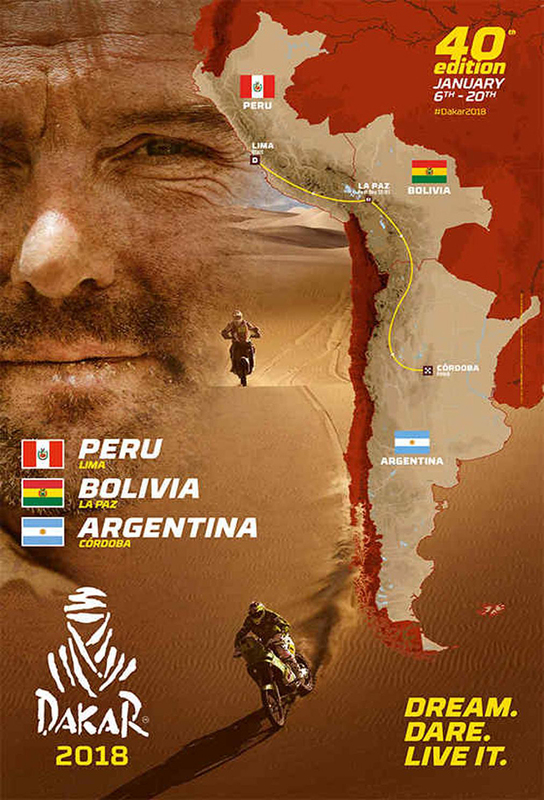 The rally crossed into Bolivia and tasted high altitude running on its sixth day, the 313km stage split into two with a neutralisation point at the Peru-Bolivia border. However, the Peruvian part of the stage - a 118km stretch that took the field up to 4,700m above seal level - was cancelled due to poor weather for the bikes, for whom Stage 6 became a 194km sprint to La Paz ahead of the traditional rest day. 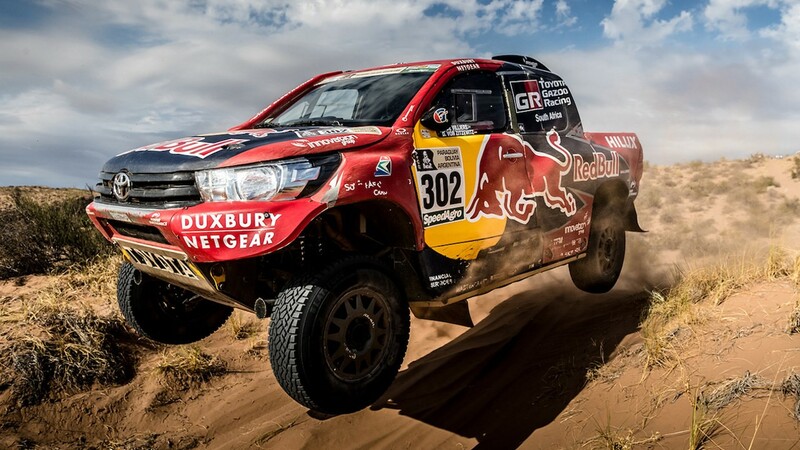 Peugeot driver Carlos Sainz won the Arequipa – La Paz stage of the 2018 Dakar marathon, as the rally held its final test before the mid-event rest day. Sainz beat teammate and rally leader Stephane Peterhansel by four minutes and six seconds to pick up his first stage win in this year's Dakar. Taking place at altitude of around 4000 metres above sea level, the marathon's sixth stage marked the end of the opening leg in Peru, with competition moving on to the Bolivian Altiplano.The timed part of the stage was 313km long and split into two sections, separated by a 238km neutralised zone.Sainz arrived to the end of the first, 118km-long run with a two-minute lead, having topped the timing sheets at all three waypoints along the way.He continued to set the pace after the road section, and more than doubled his lead by the time he arrived at the finish line. Antoine Meo topped the shortened sixth stage of the 2018 Dakar Rally's bike class by half a minute as Honda's Kevin Benavides became the new leader of the category. 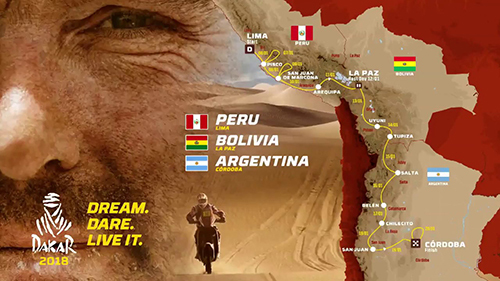 Due to poor weather conditions, the first 119 kilometres of the timed special, which saw the field move from Peru to Bolivia, were cancelled for the bike class. As a result, the field started their respective competitive runs near Lake Titicaca and the remaining 194 kilometres saw an extremely closely-matched fight for victory on the last stage before the rest day. Xavier de Soultrait’s lead was only two and 38 seconds at the first two respective waypoints, before Toby Price took over, but the 2016 champion’s advantage was also only 6s at the penultimate timing spot. In the end, it was Meo who recorded the fastest time, the former enduro star claiming his third Dakar stage win by half a minute.